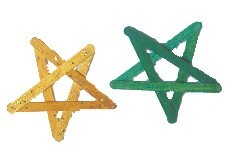 Use Popsicle sticks to make these Christmas Stars to decorate your Christmas tree. These Christmas stars are easy for even the youngest children to make. With a bit of decorating, they make attractive Christmas tree ornaments. Looking for more ideas Christmas ornaments and Christmas decorations ? Or how about some ideas make celebrating Christmas extra special? Or would you like to find out more about the history of Christmas? 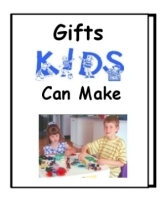 Don't forget to check out these great kids gift ideas. Paint or color Popsicle sticks using markers. 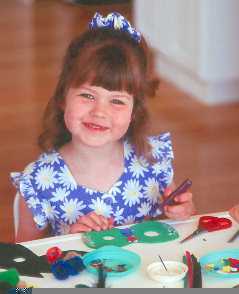 Decorate your Christmas star with glitter glue, or glue and glitter, or glue and salt for crystal effect. Tie or glue a loop of thread or ribbon for the hanger for your Christmas ornament. For a different look, use twigs or small pieces of wood rather than Popsicle sticks. Find more ideas to make Christmas crafts.